Sharks may be scary in the wild, but not this little guy! 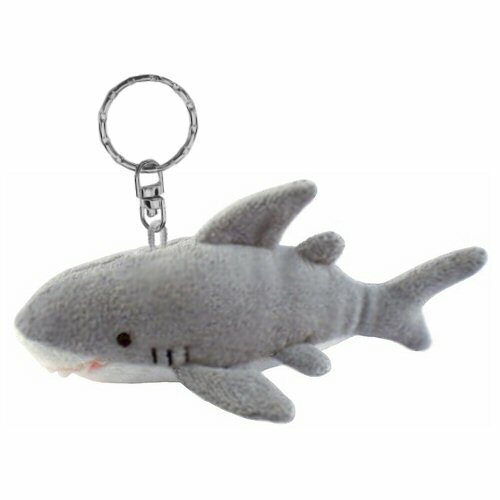 With soft gray fur, white tummy, and fun white felt teeth, this plush shark keychain is simply lovable and wouldn't harm anyone. In fact, he would be delighted to accompany you on all your adventures, be it on your key ring, belt loop, backpack, purse, or even just looped around your finger. This shark stuffed animal keychain is the perfect take-along pal. Famous Sharks: Do you remember Jabberjaw (Hanna-Barbera cartoon) and Oscar (Shark Tale)? Molars is an adorable plush shark with a cuddly body of soft gray and white fur and a huge smile of fun felt teeth. This delightful Webkinz plush walrus has amazing shiny gray fur, wonderful detail, and a cuddly body.